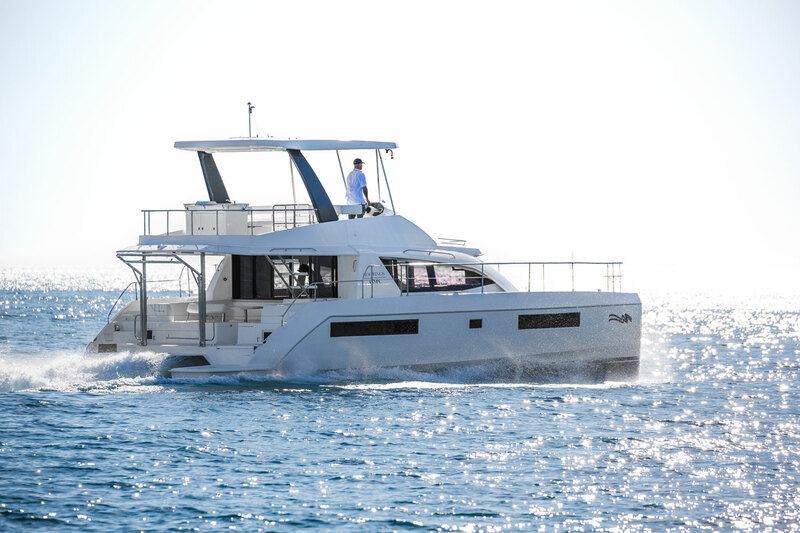 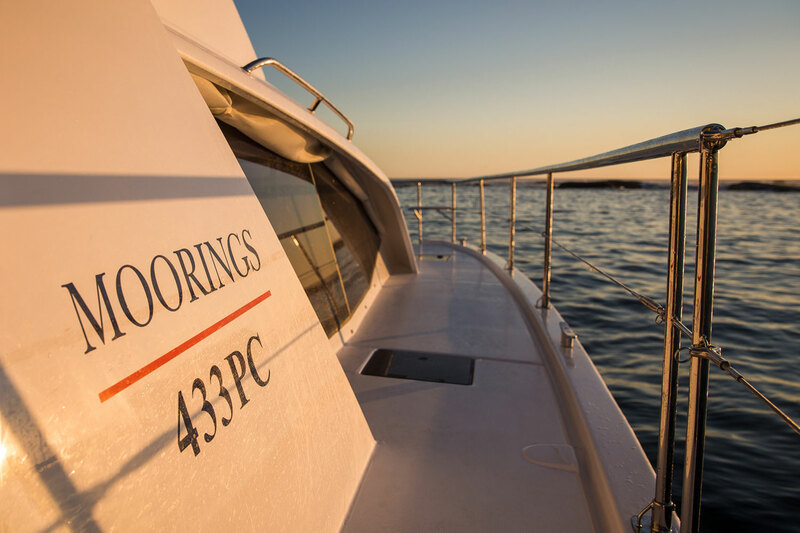 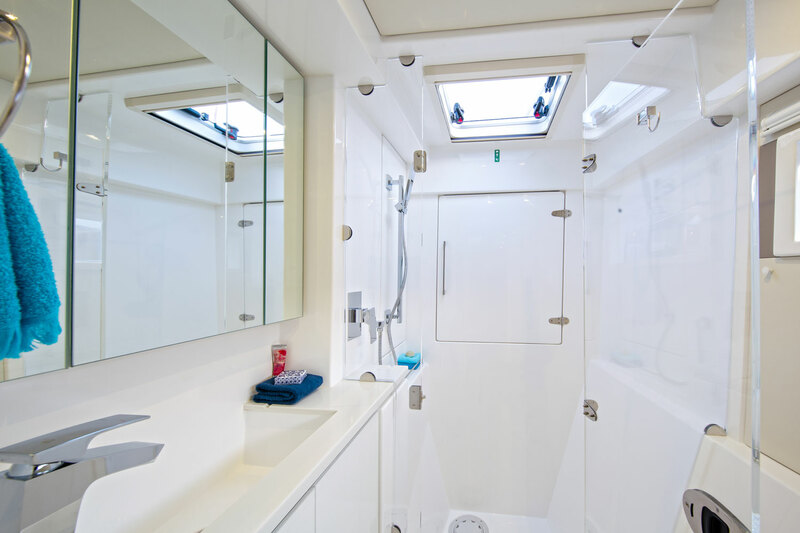 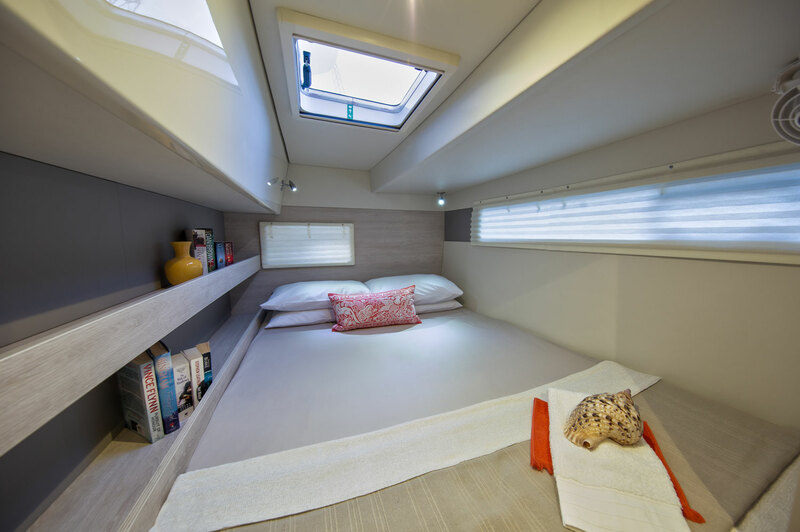 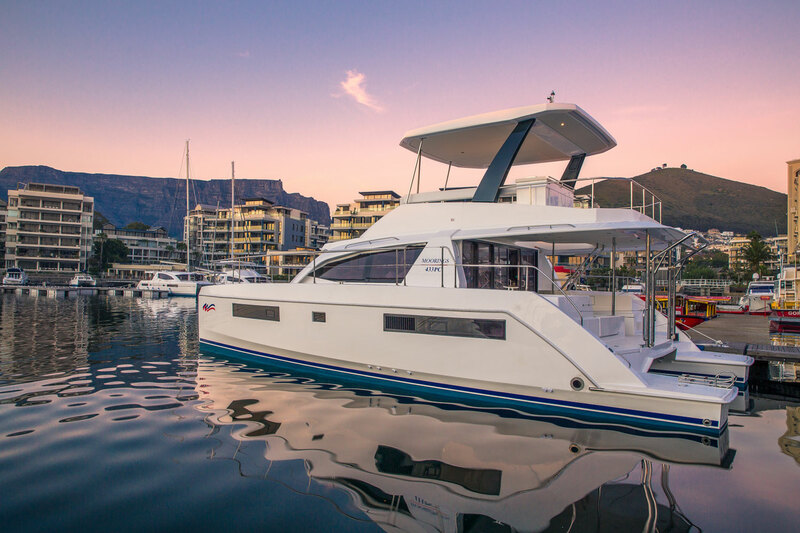 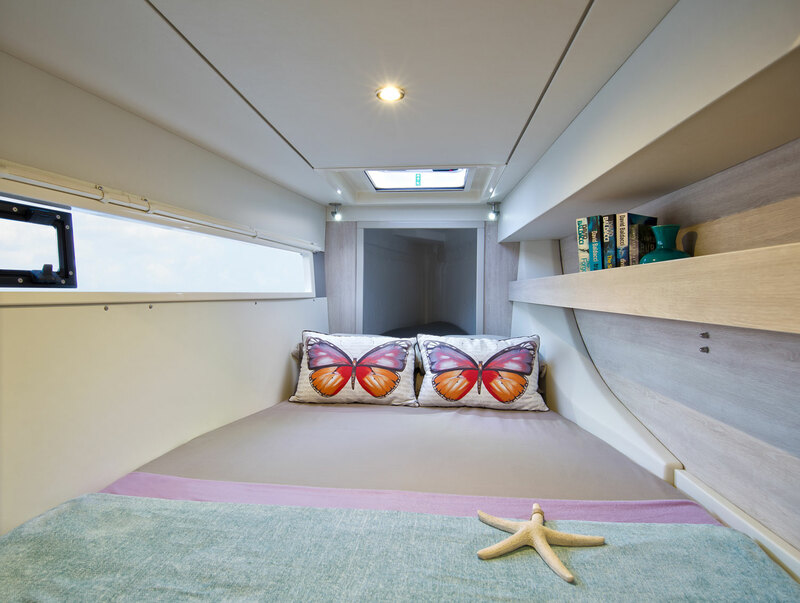 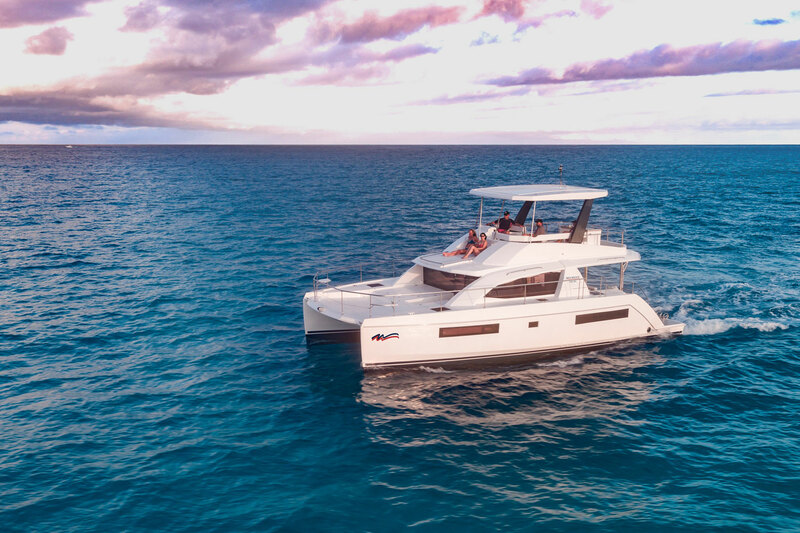 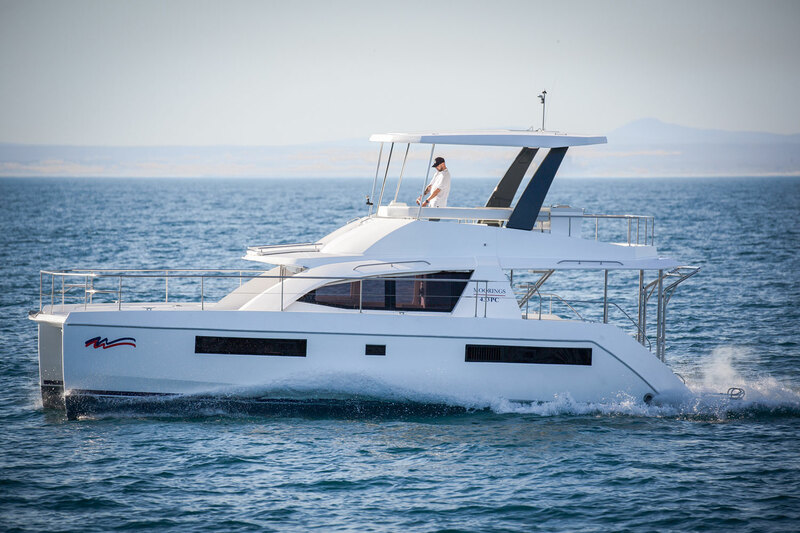 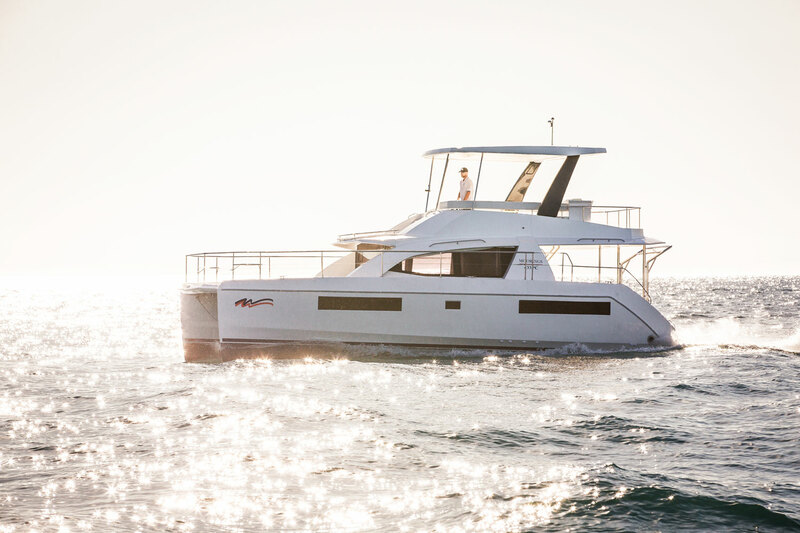 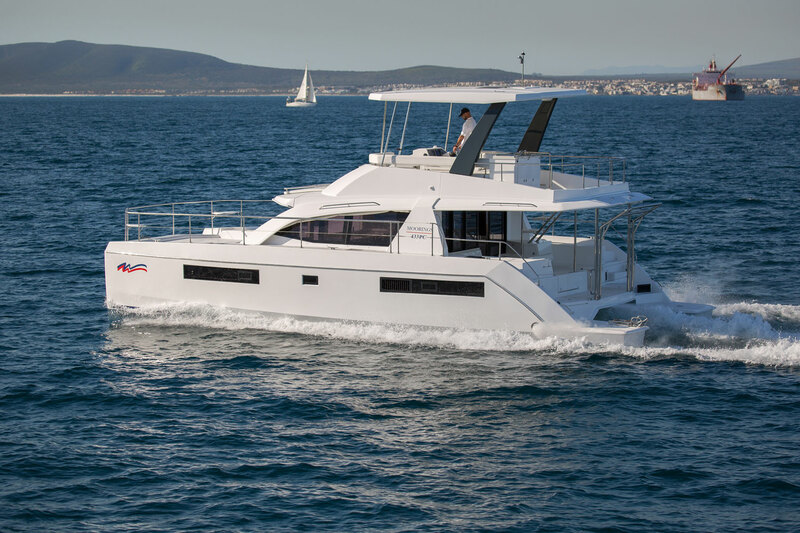 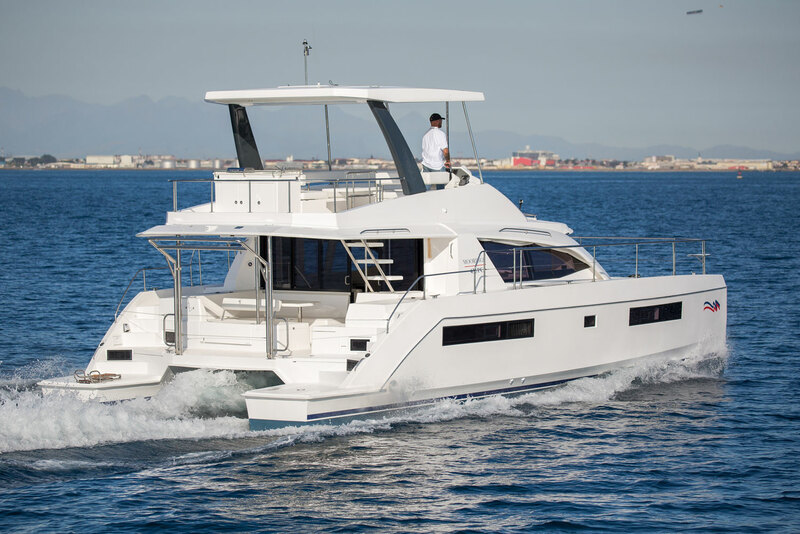 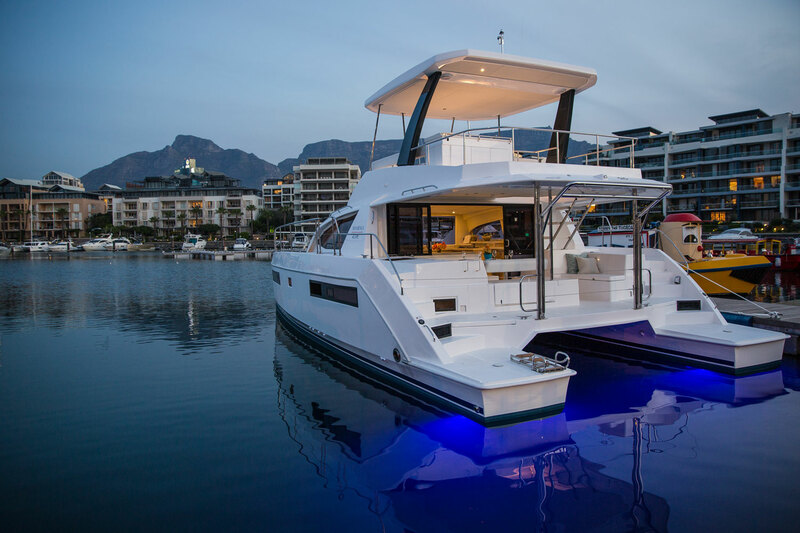 The Moorings 433PC is a luxury 43-foot power catamaran conceived and designed for cruising performance and comfort. 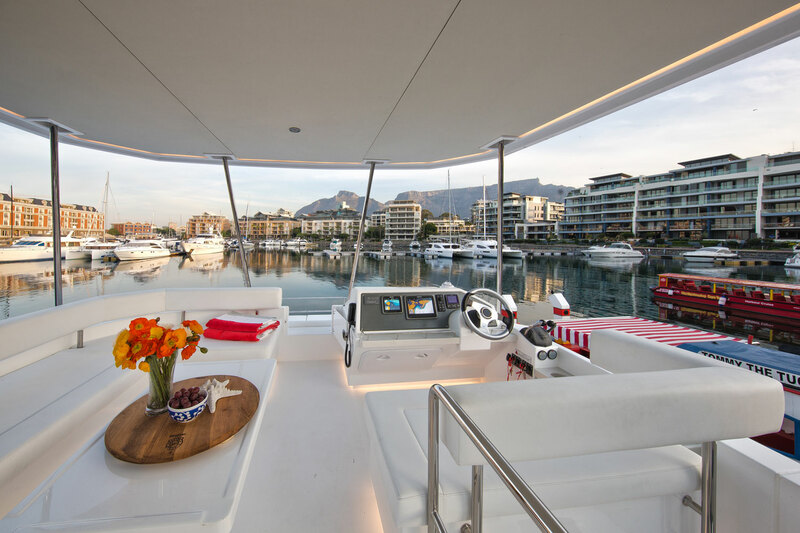 This yacht is easy to handle, fuel efficient, spacious, and loaded with amenities. 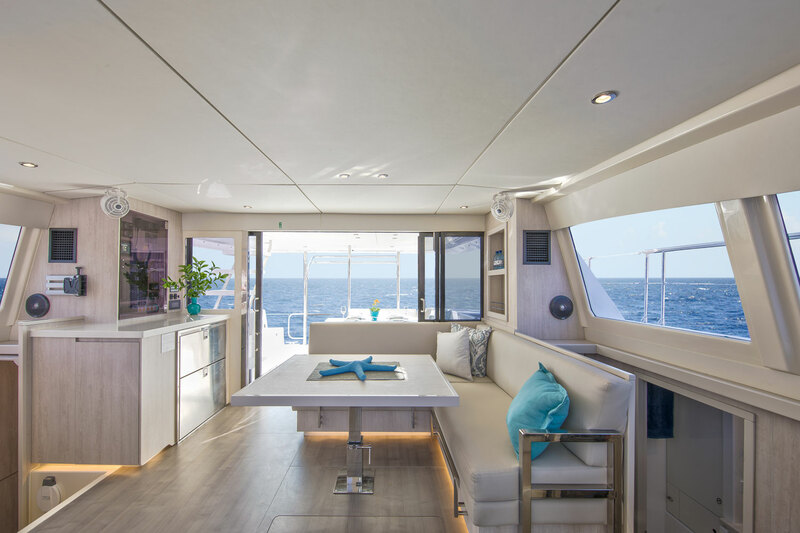 The multiple indoor and outdoor seating, lounging, and entertaining spaces offer comfortable spaces for all both at anchor and underway. 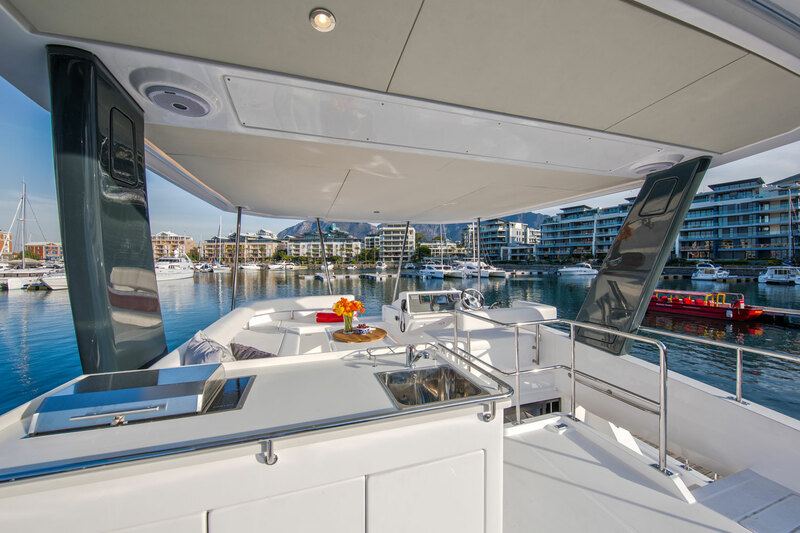 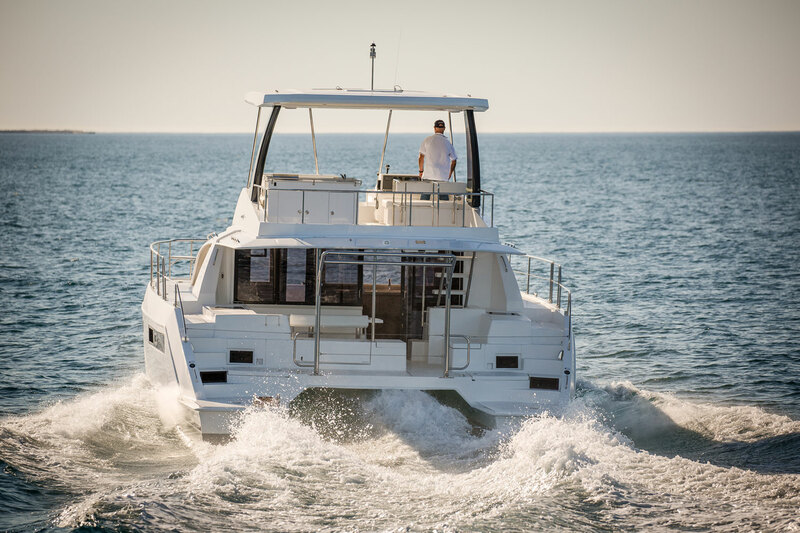 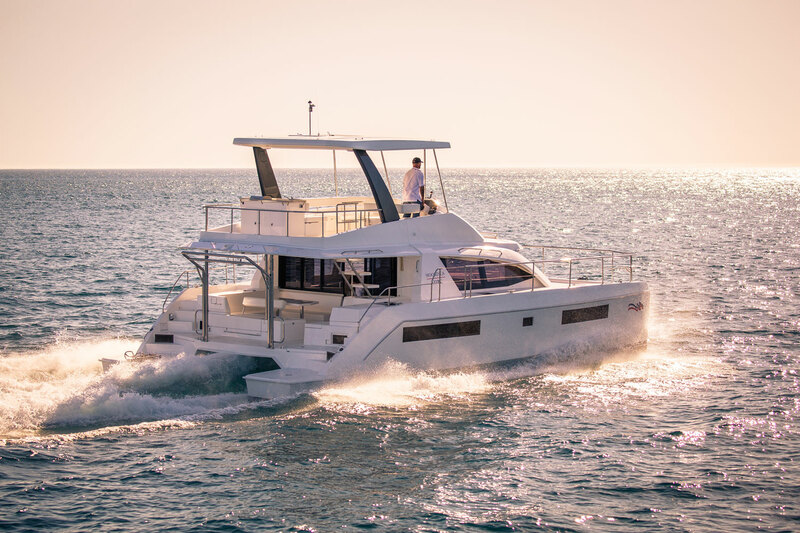 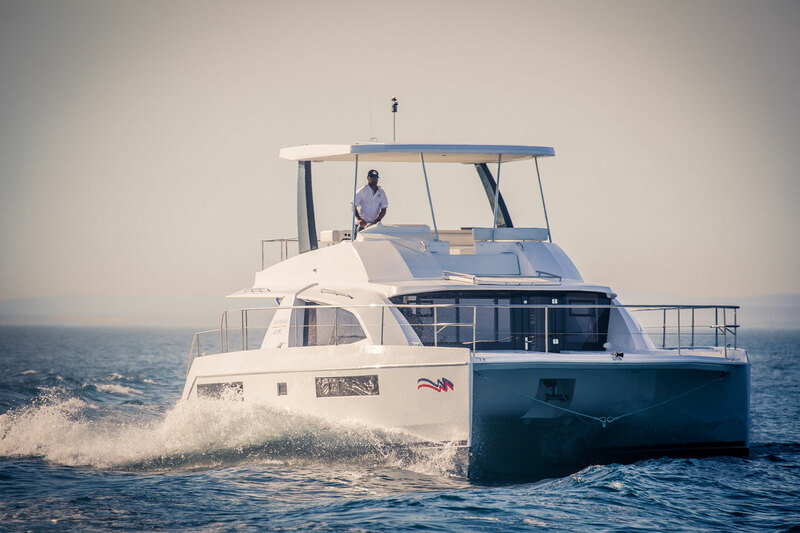 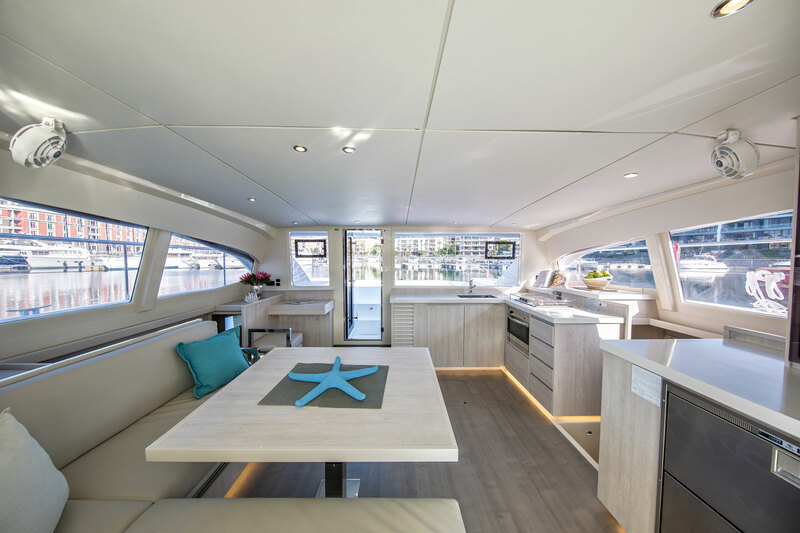 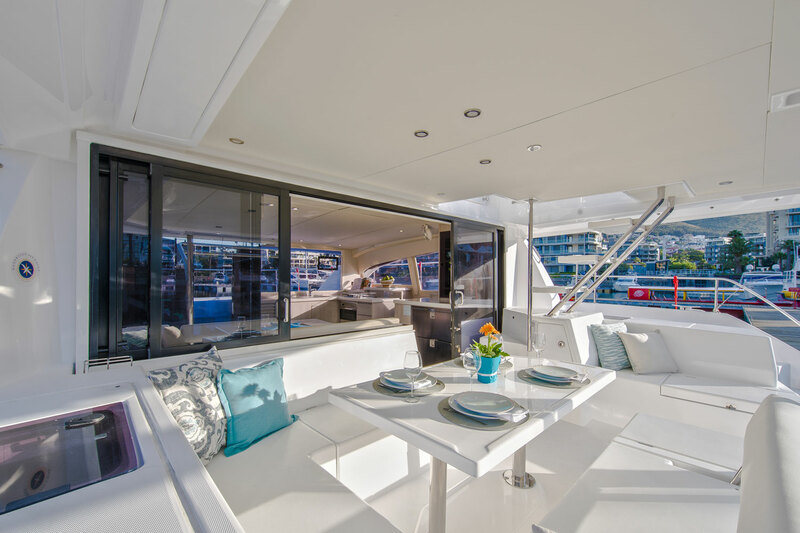 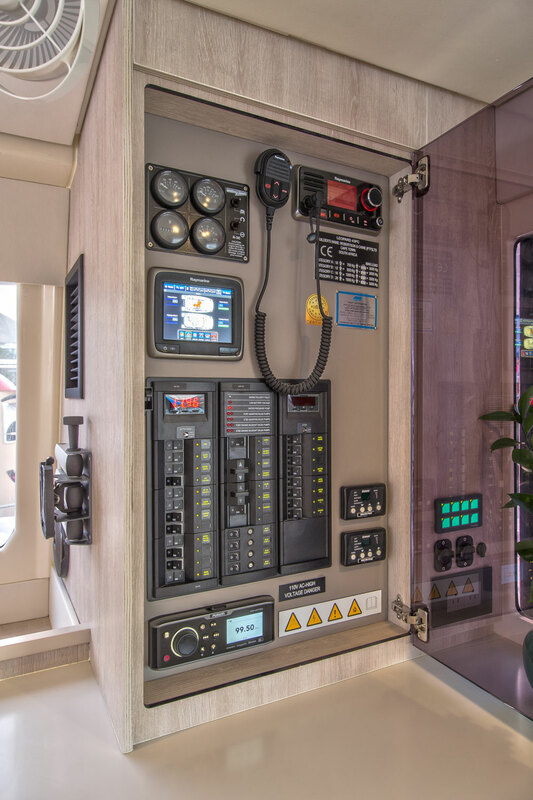 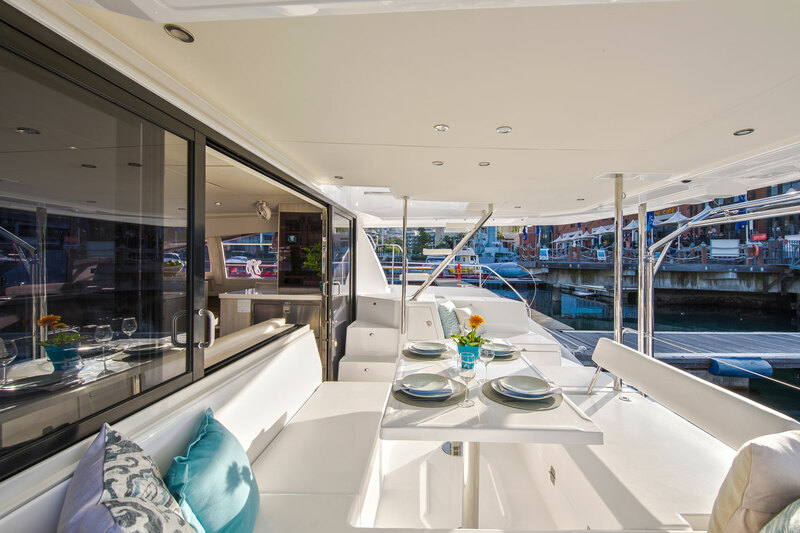 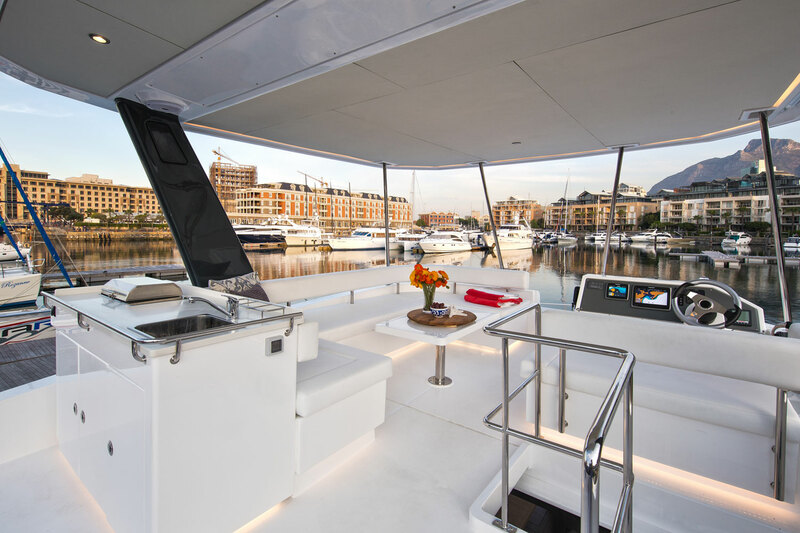 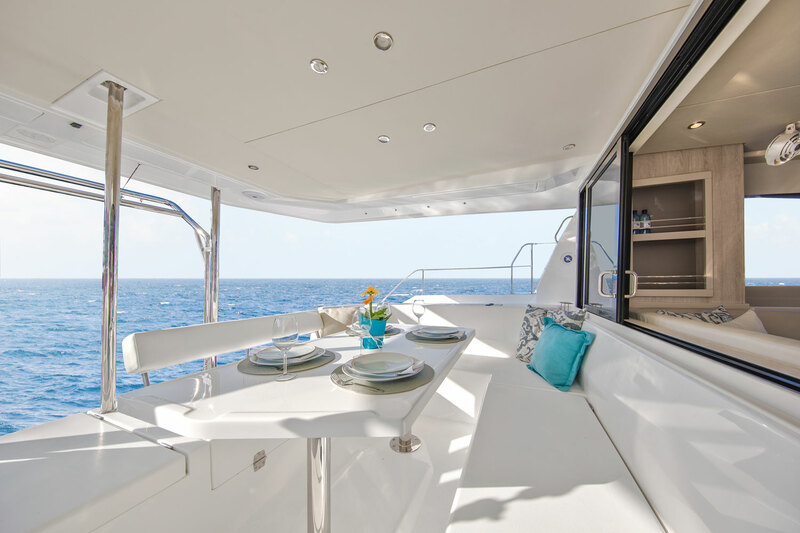 The flybridge includes the helm station, an electric grill and wetbar, seating, and direct access to the forward sunbathing platform. 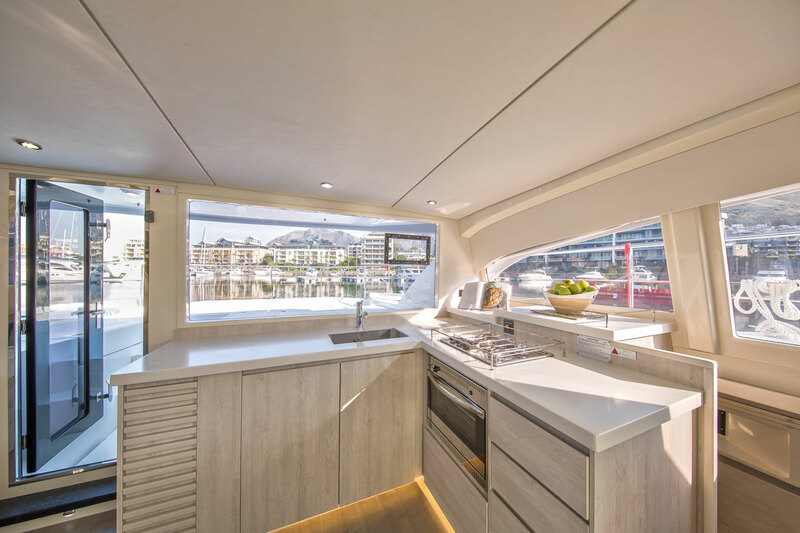 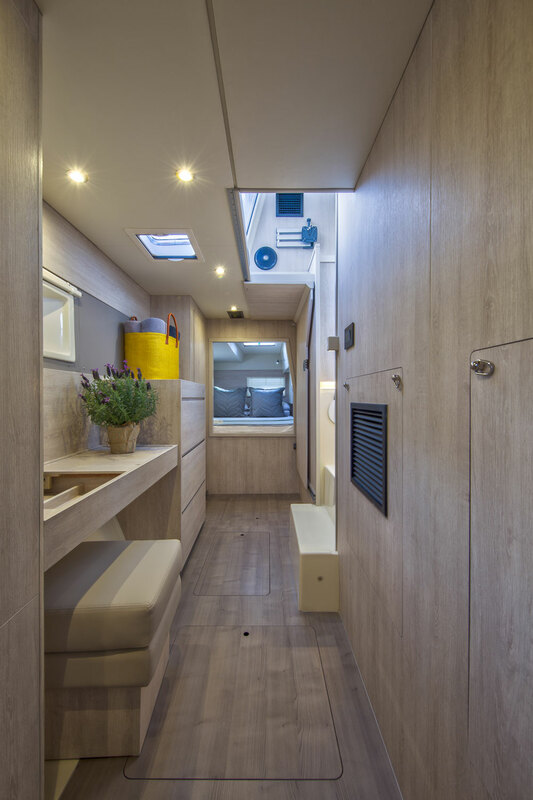 Inside, the modern saloon features a forward-facing galley with large window and access door to the bow area. 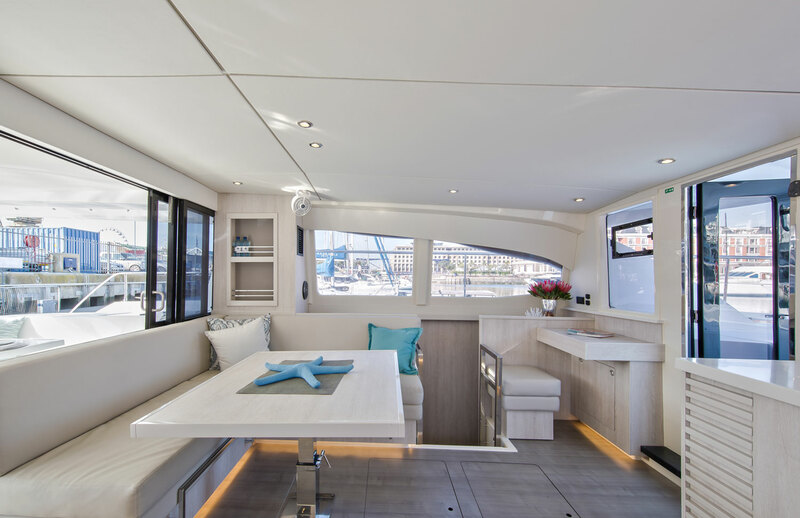 The settee, set aft, connects to the adjacent aft cockpit seating, separated only by sliding glass windows. 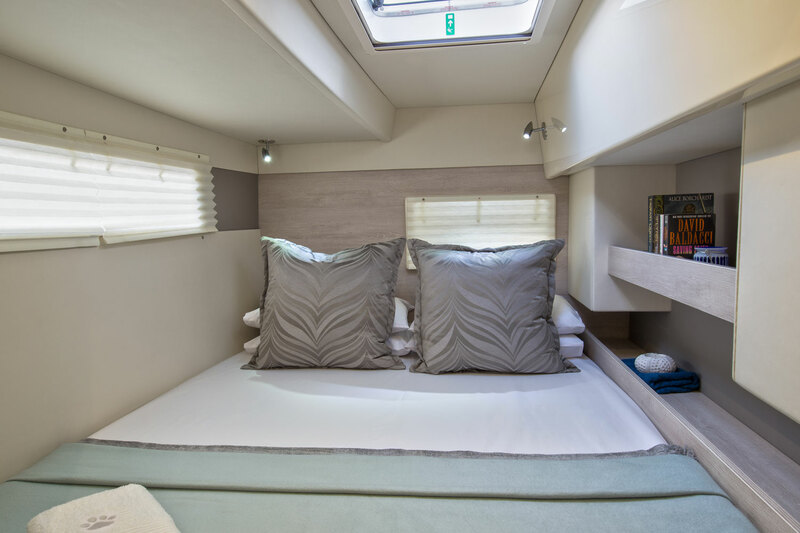 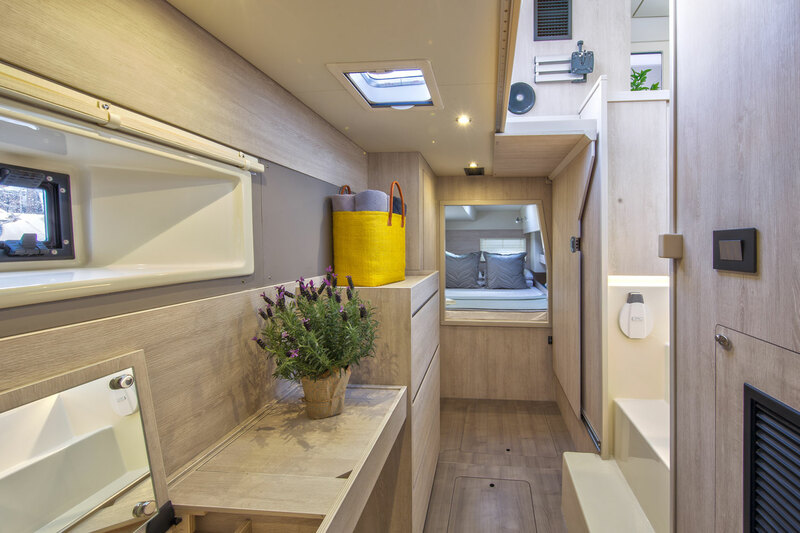 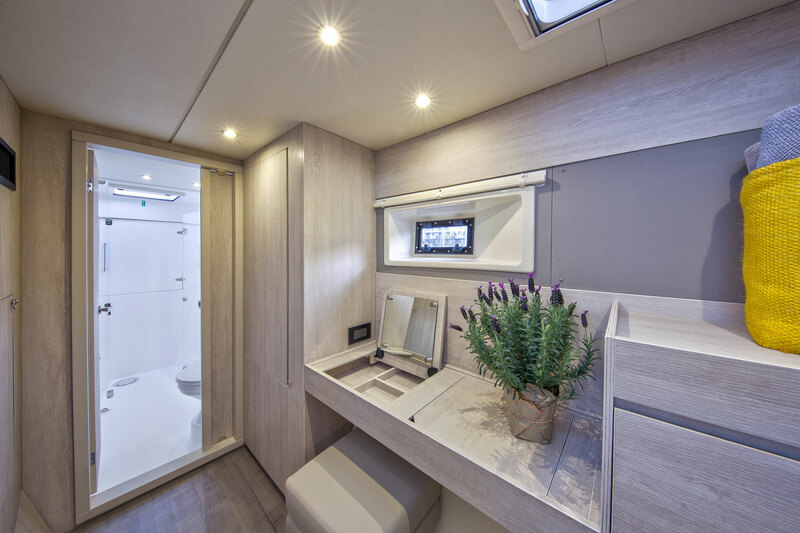 The starboard hull of the Moorings 433PC is entirely dedicated to a luxurious owner's suite with head, seating area, and double berth. 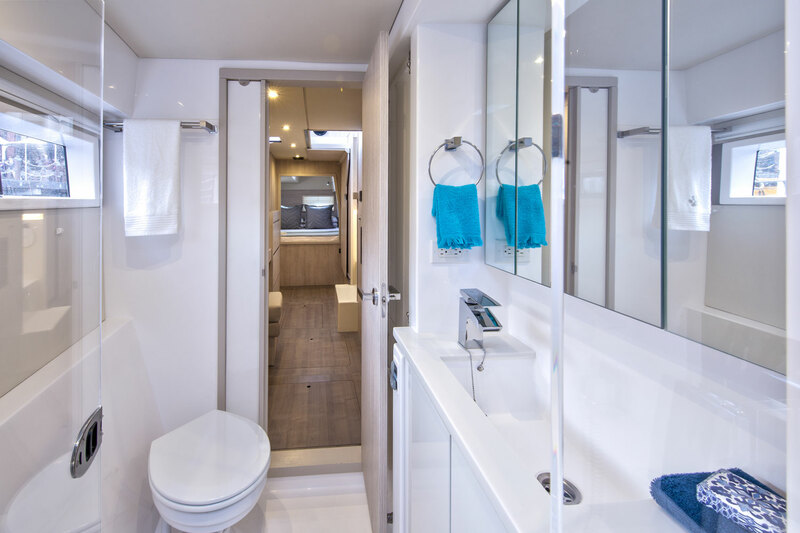 To port, two spacious guest cabins share a head.